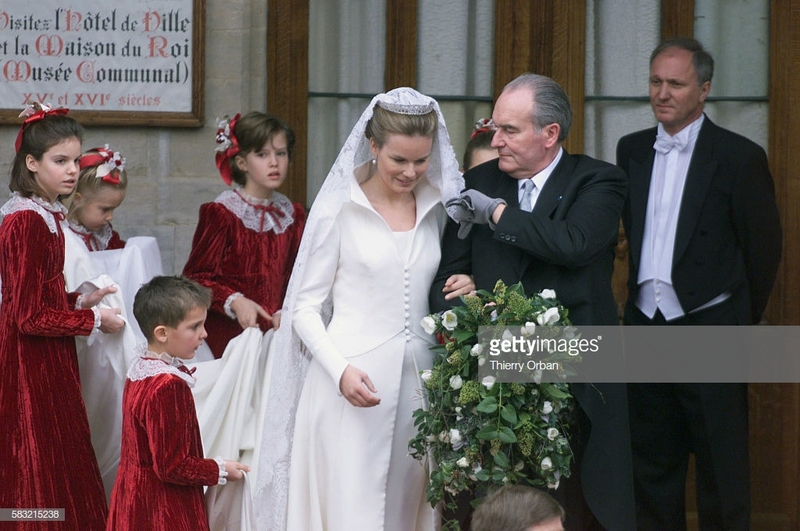 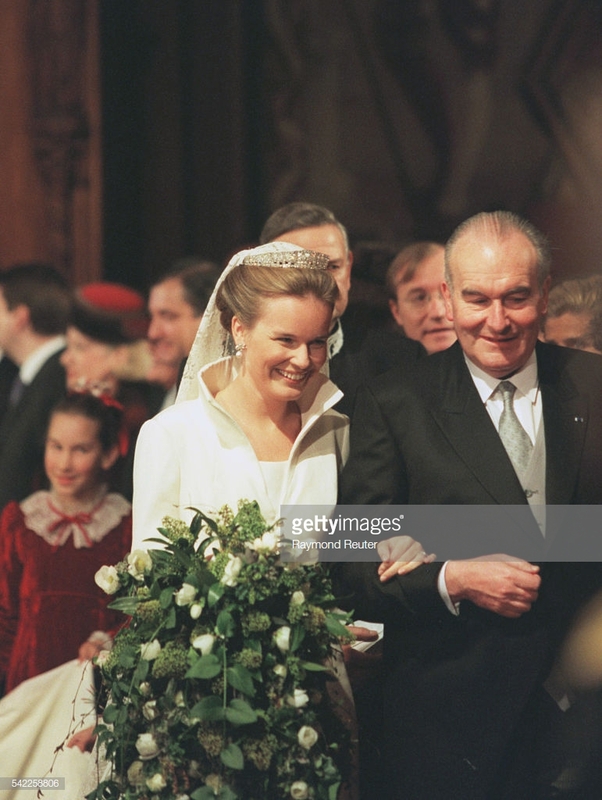 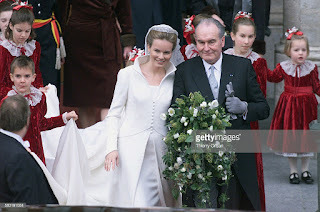 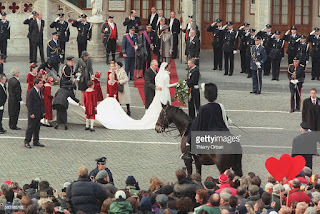 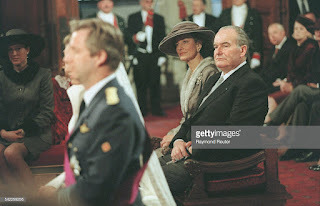 Mathilde d'Udekem d'Acoz and her father, Patrick d'Udekem d'Acoz left the royal palace where Mathilde had been getting ready since 6:00. Since midnight she'd been made a royal princess in her own right, and her father and siblings had received the titel of count or countess. Before this day they had been untitled nobility. 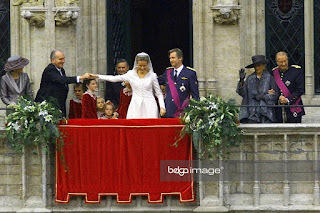 Mathilde and Philippe were officially married at the Brussels city hall. In Belgium only the civil wedding is valid, and a religious ceremony is optional but has no legal value. 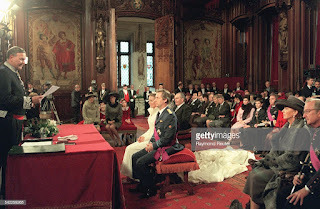 Therefor the civil ceremony has to preceed the religious ceremony. Once the ceremony was concluded, the married couple appeared on the balcony. 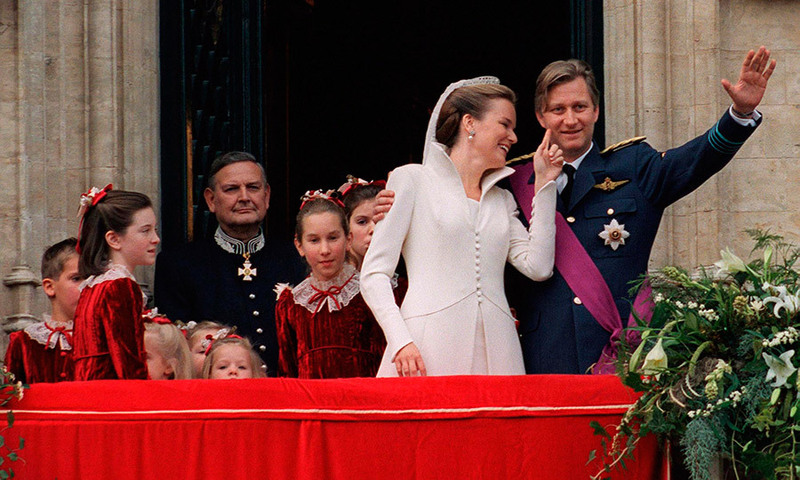 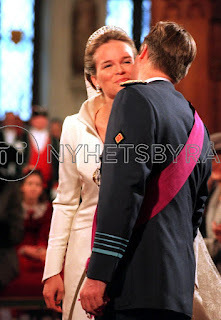 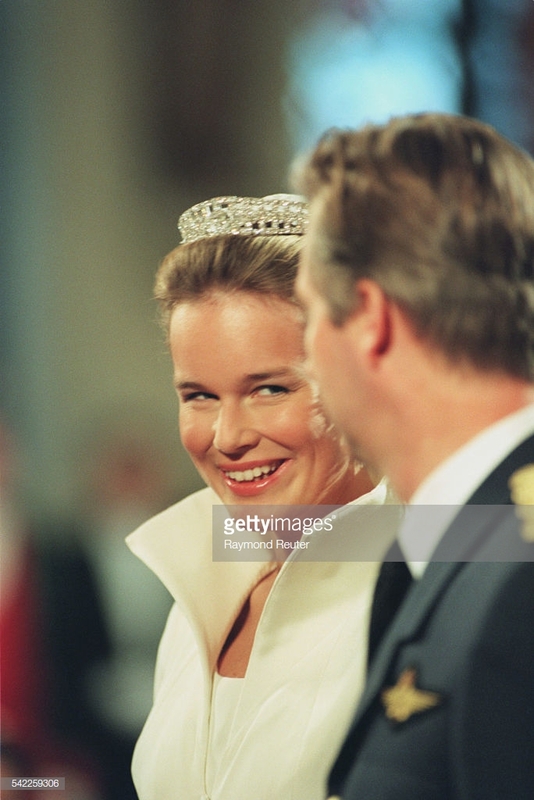 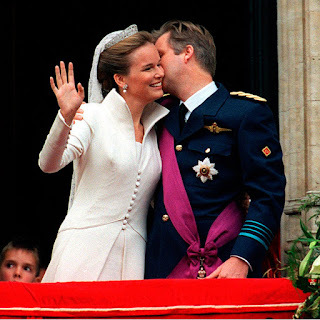 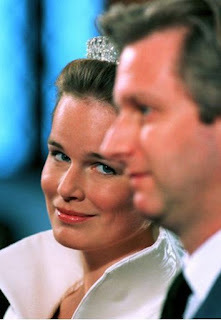 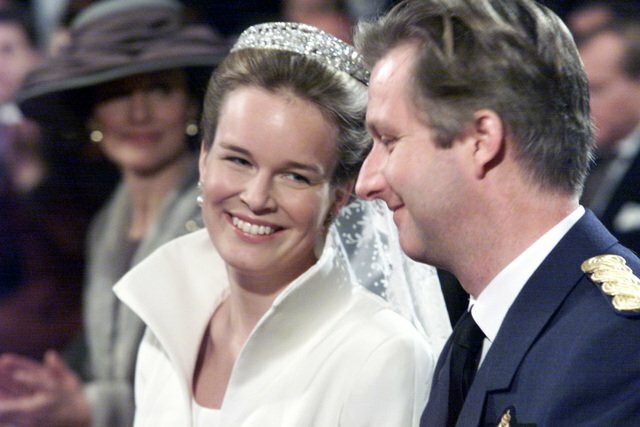 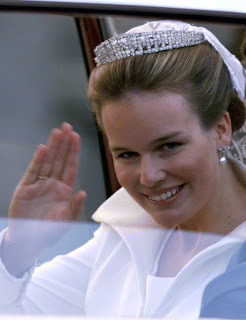 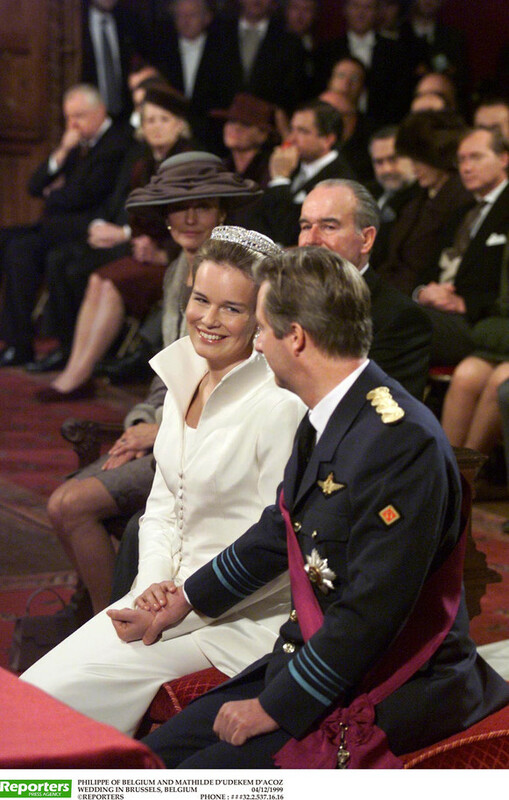 Princess Mathilde wore a sleeveless dress covered by a coat with a 5 meter train, designed by Edouard Vermeulen of Natan. 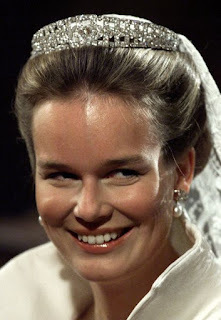 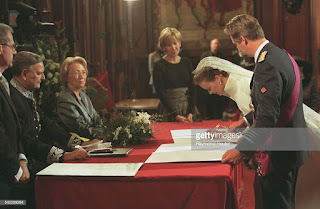 Her tiara and lace veil had been lent to her by queen Paola. Her new diamond and pearl earrings were a gift of crown prince Philippe. 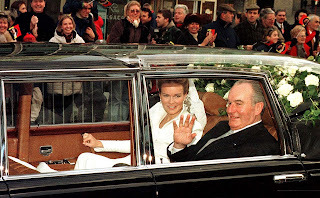 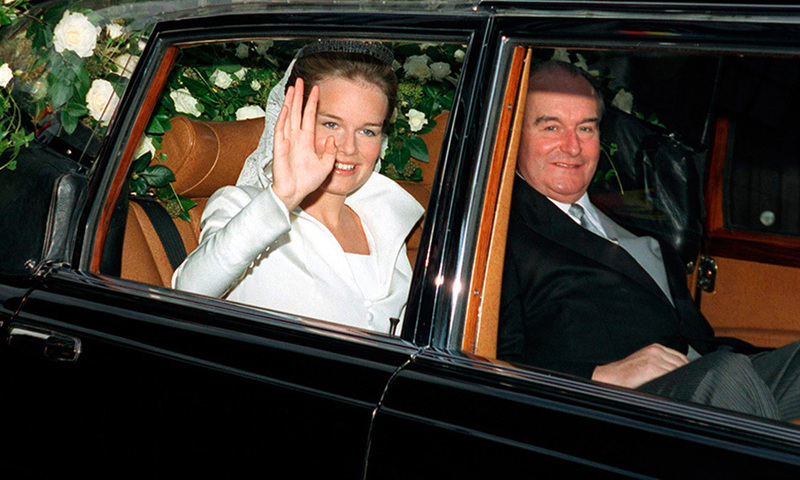 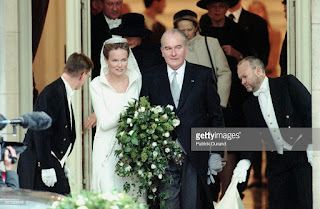 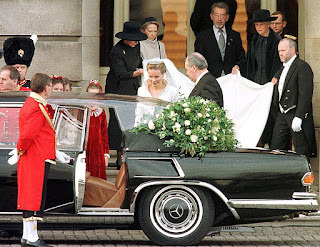 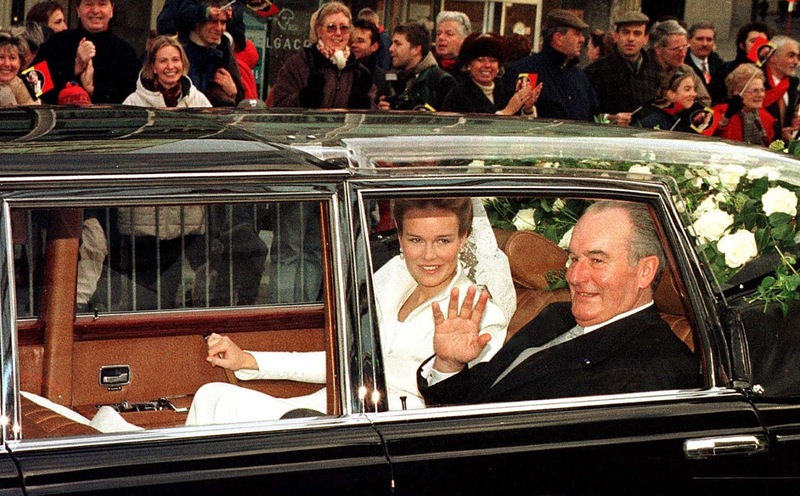 After the wedding, Mathilde's father escorted her back to the car. 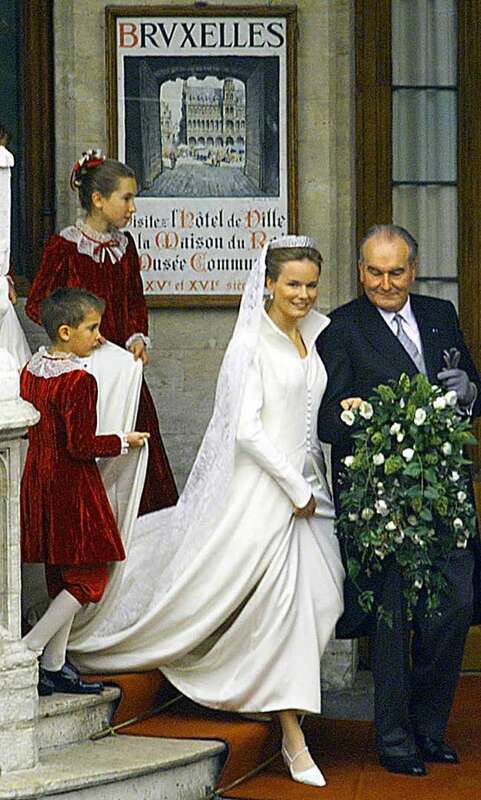 They were then driven to the cathedral for the religious wedding.